New artificial muscles that twist like the trunk of an elephant, but provide a thousand times higher rotation per length, have been developed by a team of researchers from The University of Texas at Dallas, The University of Wollongong in Australia, The University of British Columbia in Canada, and Hanyang University in Korea. The research appears in the journal Science. 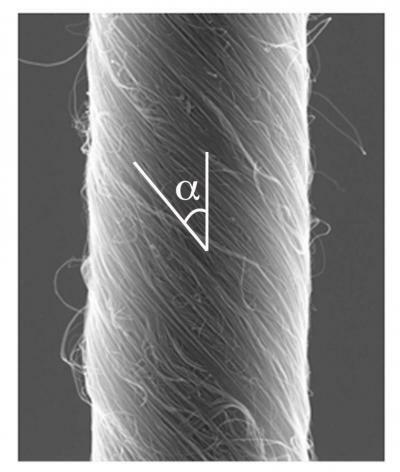 Unlike conventional motors, whose complexity makes them difficult to miniaturize, the torsional carbon nanotube muscles are simple to inexpensively construct in either very long or millimeter lengths. 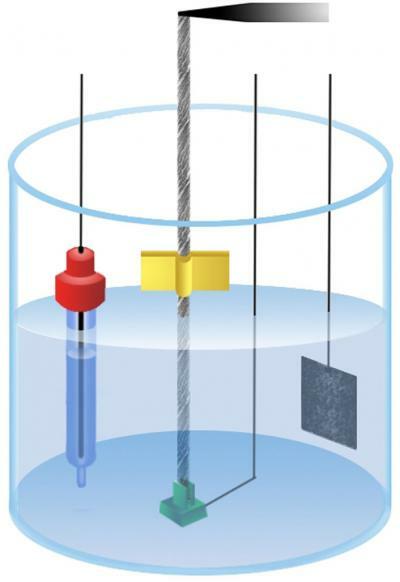 The nanotube torsional motors consist of a yarn electrode and a counter-electrode, which are immersed in an ionically conducting liquid. A low voltage battery can serve as the power source, which enables electrochemical charge and discharge of the yarn to provide torsional rotation in opposite directions. 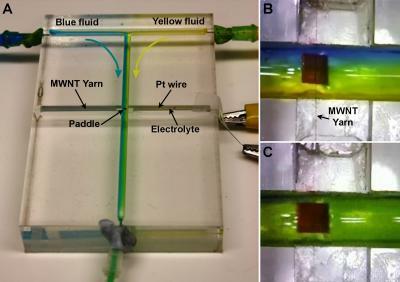 In the simplest case, the researchers attach a paddle to the nanotube yarn, which enables torsional rotation to do useful work — like mixing liquids on “micro-fluidic chips” used for chemical analysis and sensing. The mechanism of torsional rotation is remarkable. Charging the nanotube yarns is like charging a supercapacitor — ions migrate into the yarns to electrostatically balance the electronic charge electrically injected onto the nanotubes. Although the yarns are porous, this influx of ions causes the yarn to increase volume, shrink in length by up to a percent, and torsionally rotate. This surprising shrinkage in yarn length as its volume increases is explained by the yarn’s helical structure, which is similar in structure to finger cuff toys that trap a child’s fingers when elongated, but frees them when shortened.